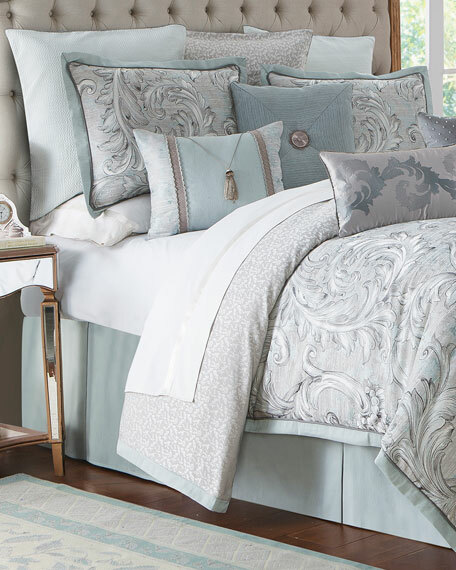 A dramatic and stylish addition to your home, the Waterford Farrah Bedding Collection features an oversized woven leaf scroll pattern in a soft aqua and grey color. 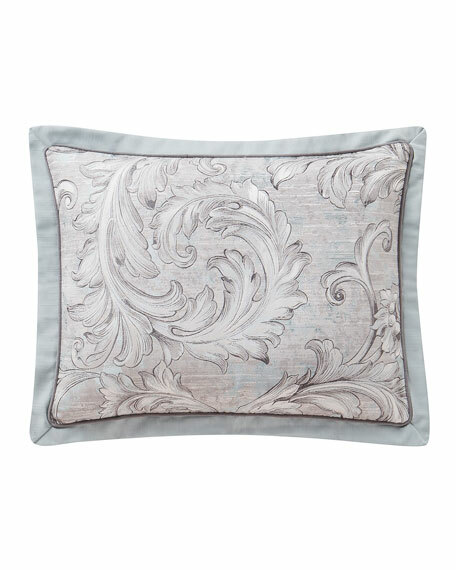 The bed is softened with a painterly strié woven into the motif, and is finished with an elegant corded flange. 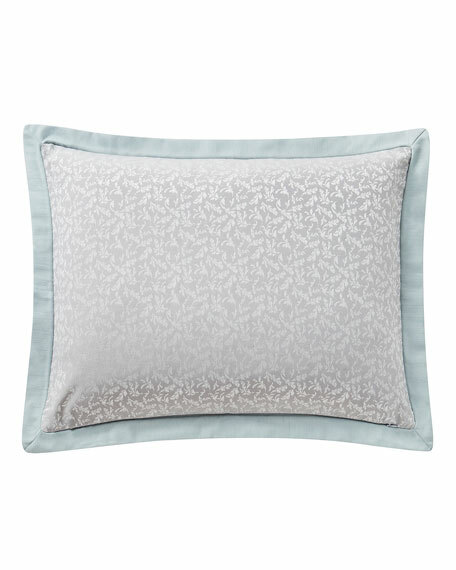 On the reverse, a grey leaf jacquard. 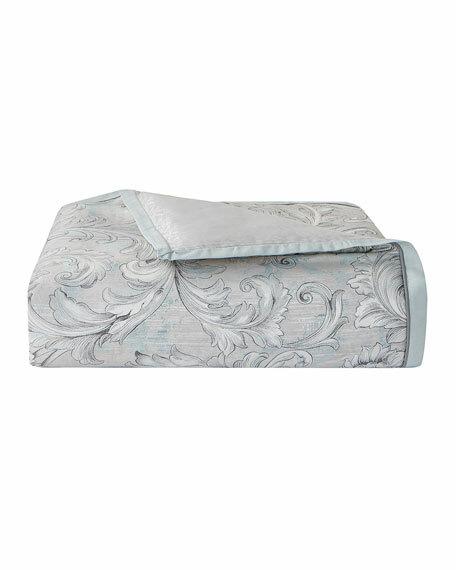 Set includes: comforter (110" x 96"), sham (20" x 36"), and dust skirt (72" x 84"; 18" drop). 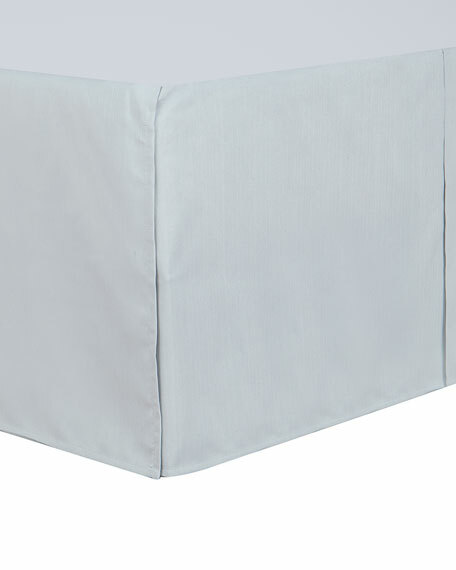 Dust skirt, polyester; platform, polyester/cotton.